Target the signs of ageing and treat mild to severe acne with this adaptable, cutting-edge skin treatment. 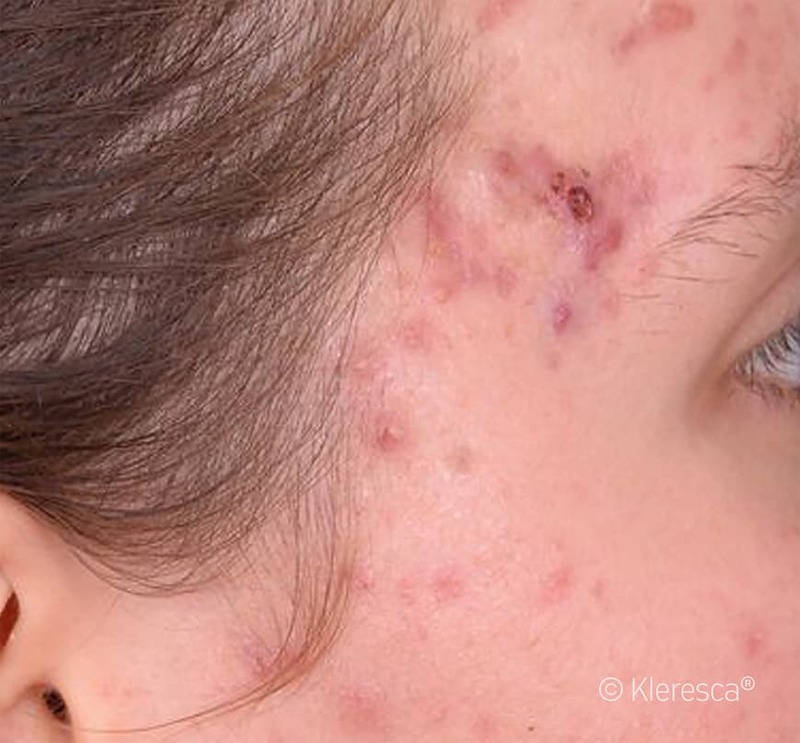 Kleresca® is an innovative, non-invasive rejuvenation and acne treatment. It harnesses the natural power of light to target skin imperfections, for smoother, brighter, younger-looking skin. The process works in a similar way to photosynthesis in plants and kick-starts the skin’s natural healing processes, including the production of collagen. It can be used either as a rejuvenation treatment or as a treatment for active acne. Kleresca® uses fluorescent light energy and a special topical gel to activate your skin’s collagen-producing cells, helping it to heal and renew itself. It also kills the bacteria in the skin known for causing acne breakouts. 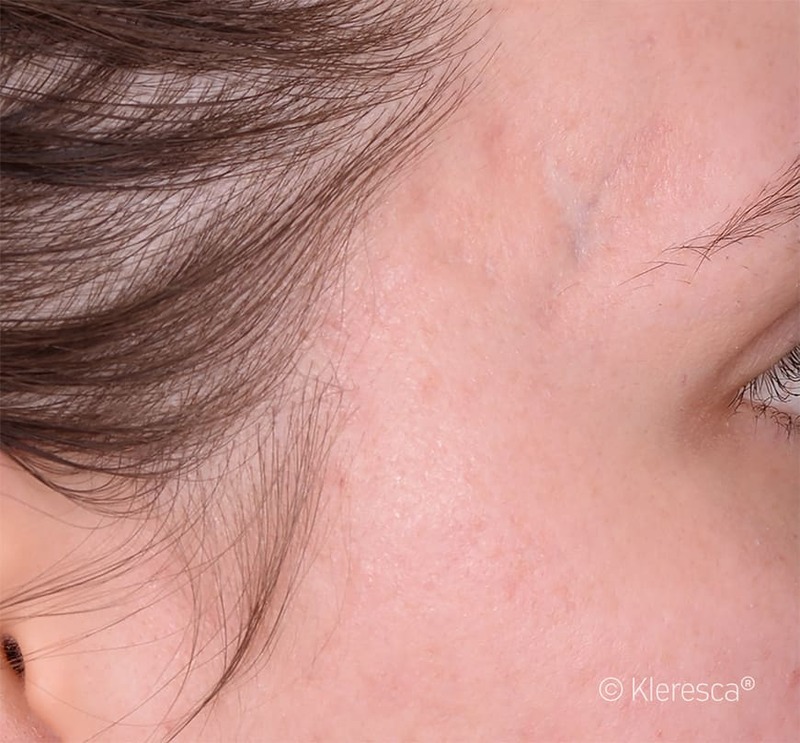 Studies show Kleresca® can stimulate a 400% increase in collagen production within the skin, helping to improve texture, tone and elasticity - and even reduce the appearance of scars. Step 1: First, your skin is gently cleansed and then a gel is applied. Step 2: Get comfortable: lay back and relax under a special lamp for nine minutes. Step 3: Finally, the gel is carefully removed and your skin is cleansed and moisturised. 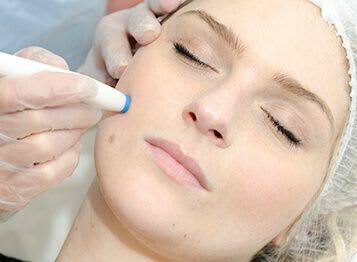 The treatment will be adapted slightly depending on whether you are treating acne or the signs of ageing. It is usually delivered once a week for four weeks, but the healing effects continue to improve your skin for months afterwards. HOW MANY TREATMENTS ARE NEEDED TO IMPROVE THE SIGNS OF AGEING? This depends on the results you are trying to achieve, but the condition of your skin will improve after the very first treatment. The treatment creates a warm sensation on the surface of your skin, but it isn’t painful. Some people compare the feeling after treatment to very mild sunburn. The best thing to do is book a consultation with a member of the sk:n team. We will be able to assess your skin and determine whether this is the best treatment option for you. 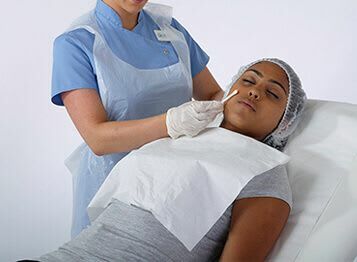 We are experts in both acne and rejuvenation, so will be able to recommend the most appropriate treatment for the results you are hoping to achieve. 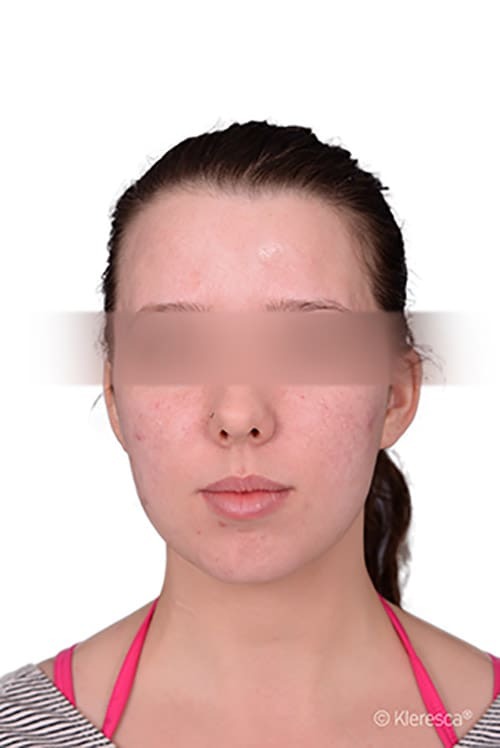 HOW MANY TREATMENTS ARE NEEDED TO IMPROVE MY ACNE? 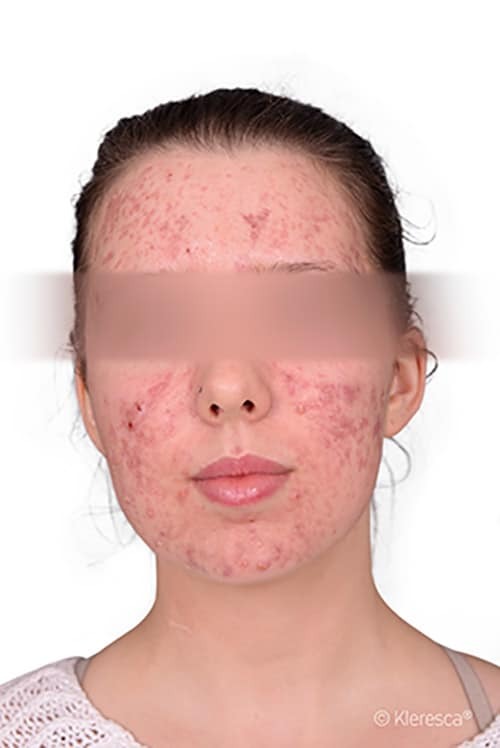 This really depends on how severe and active your acne is, but your skin should feel better (in better condition and healthier) after just one treatment. Your acne will take a course, or number of courses of treatments, to improve noticeably. Most people see a considerable improvement from between six and 12 months. The treatment is carried out once a week for four weeks as many times as necessary. It can be used to treat all types of acne, from mild to severe, cystic acne.